With H-2B on hold and the economy picking up steam, you need to proactively build a “steam engine” made up of good, hardworking local employees. Many companies find these folks in the Latino community. But you can’t just post an Internet advertisement and expect success. Try the following proactive recruiting tips to attract more local Hispanic workers. Hang up fliers in apartment buildings in Hispanic neighborhoods; this way the entire family can be involved in seeing and responding to your job ads. Use your logo, as well. Don’t forget branding. 2. Talk to a priest. Seek out the priests at local Hispanic churches and place announcements in their church bulletins. (In fact, this tactic can work for all employees.) Engage the priest and the paper. 3. Spanish language radio advertising. Again, this approach is a way to involve family and friends in hearing your job ad. Make sure you hire the right person to translate your ad and the right person to speak in the spot. Job ads in print papers may seem old fashioned, but depending on the pricing it can be worth investing a few dollars to get your name out there in the Latino publications. Pay for your logo placement, too. 5. Bulletin boards around town. If shopping markets and gas stations frequented by Hispanics have bulletin boards, use them. Seek out Latino carnivals and fairs and take a create approach: Set up your job booth there. Wear company uniforms. Hand out “help wanted” fliers. Involve your staff. 7. Referral bonuses with a caveat. Referral bonuses are a tried and true approach, but like any good marketing, you can’t just mention it once to your guys and forget about it. Continue to ask your employees who they can recommend. Make it a big part of your meetings. Don’t just assume everyone remembers that you want people (and you’re willing to pay), unless you tell them over and over. Have an open house so your employees can tell their friends “come by our place on Thursday evening and check us out.” Offer a home cooked meal (make it authentic ethnic cuisine, if you can). Don’t forget to have a nice, patient bilingual person answer the phone and handle their initial job interest. The economy is picking up steam, you don’t want to get run over by some other company’s steam engine–build your own. Contributor’s note: Once you hire Hispanic employees, you have to take care to manage them productively. 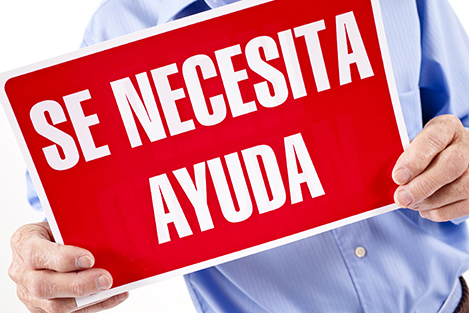 Email Jeffrey Scott (jeff@jeffreyscott.biz) for 15 tips on motivating your Latino workforce.